President's chair carved 1952 and Presidents' board carved after WW1, Naval, Military, and Airforce Club, Hobart . Who was Nellie Payne? 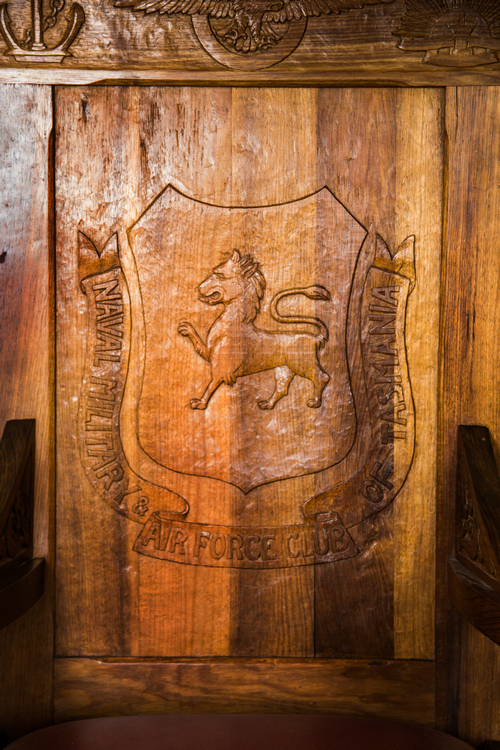 Presidents’ chair, Naval, Military, and Airforce Club, Hobart. Close up detail Presidents’ chair. Close up shield, Presidents’ chair, Naval, Military, and Airforce Club, Hobart. 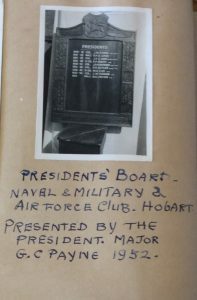 Presidents board, Naval, Military, and Airforce Club, Hobart. 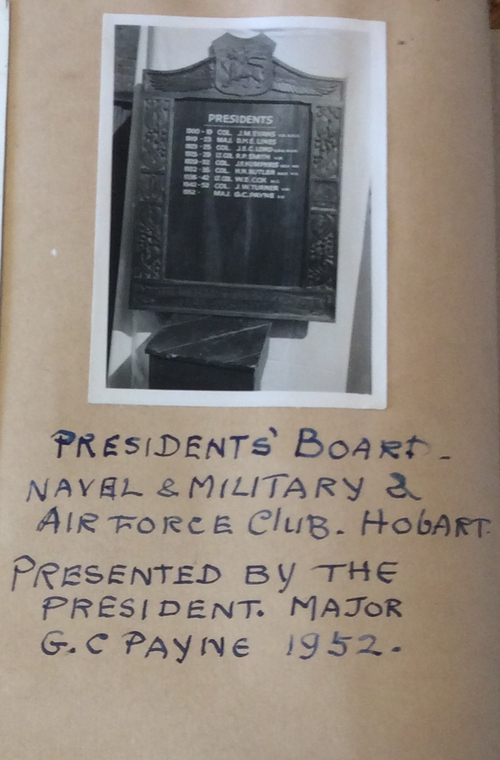 Nellies scrapbook says that the Presidents’ board was presented in 1952 although this may be referring to the President’s chair. 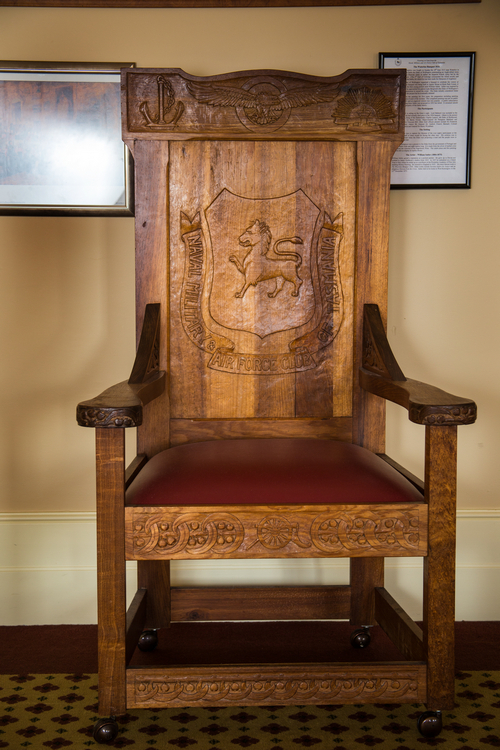 Also after the amalgamation of the Naval, Military, and Airforce groups, Nellie carved a President’s Chair to mark the occasion.